Upon signing to appear at RCW "Rise Of The Legends II", Viscera made it known to the RCW Officials that he wanted to take on the biggest man they could put in front of him! Shortly after this challenge was sent out, the RCW office had not one, but TWO men ask to be put in the ring with the WWE Legend! These two men stepped in the ring with one another last month and proved to the RCW fans in attendance that big men can do big things! "The French Phenom" Andre Williams and Ted Dancin' have stepped up to the plate and accepted the challenge from "Big Daddy V" Viscera! These three men will step in the ring together at RCW "Rise Of The Legends II" on Saturday, Oct. 20th, in what will go down in RCW as the BIGGEST MATCH to ever be signed to an event in Edmonton! Well over 1000 lbs will be in the ring on Oct. 20th, and all three men will be gunning to prove that they are the very best! 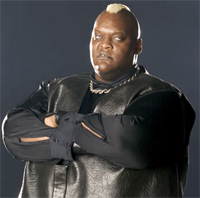 Can Andre Williams or Ted Dancin' score a huge victory over Viscera? 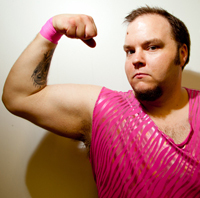 Or will the WWE Legend prove to be too much for the two biggest men in RCW? Find out on Oct. 20th! !